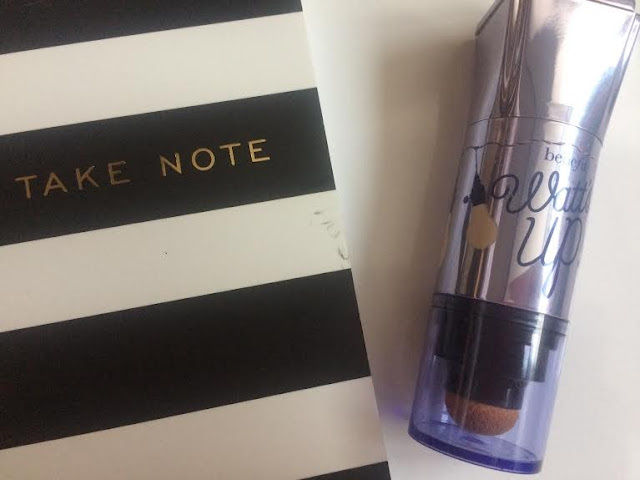 A few months ago I decided to take the plunge and purchase a beauty item I had never used let alone owned before. Highlighter wasn't a beauty area I had ever encountered before, mainly because I was so nervous of going overboard whilst using it and ending up looking 'greasy'. However, I decided to bite the bullet and give highlighter a chance in my makeup routine. The next dilemma came from deciding WHICH brands highlighter I should choose. 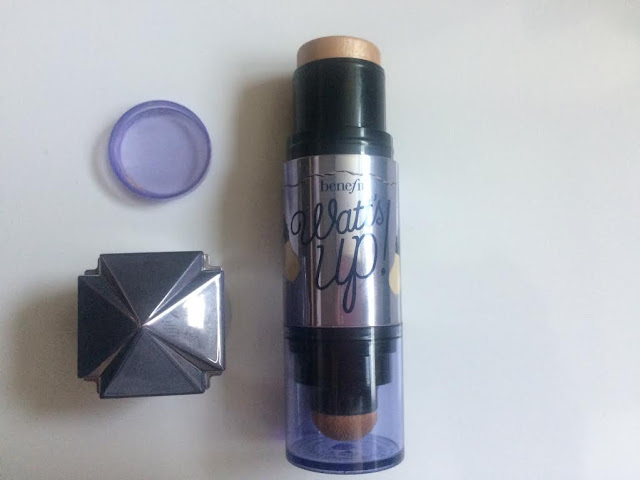 I had heard lots of good things about Benefit's Watts Up, so that's what I went with. I have to admit; now I've been using highlighter for the last few months I can't get enough! Watts Up is a fabulous product and applies onto the skin really well. The texture of Watts Up is a really creamy formula and comes as a stick applicator which makes using the product super easy. 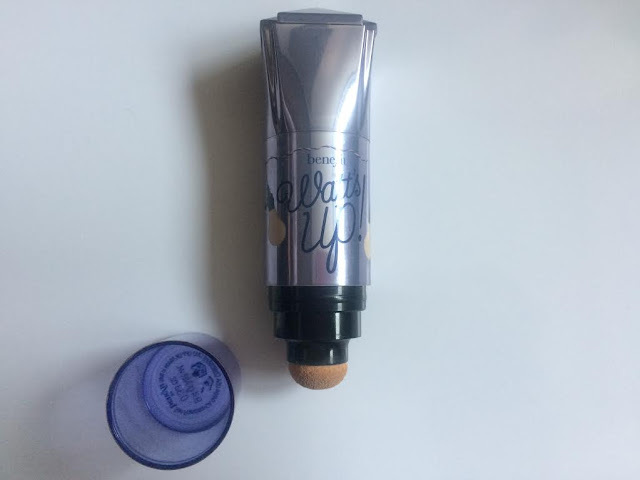 At the other end of the applicator is a small sponge to help you blend the highlighter into your skin, although I personally blend it in with my fingers. The shade is really lovely too- it's a glowy champagne colour which really perks your skin up and gives you a healthy natural glow. I absolutely adore this highlighter and it's now become a staple in my makeup routine, I just wish I'd fallen in love with it sooner! Let me know if you use Watts Up and what your thoughts are? Yay I'm so glad you've tried highlighters! I don't feel normal unless I've applied some sort of highlight!